Since the formation of our specialist infrastructure business, the central core and success of our approach has been around the acquisition, development and funding of the land element of the infrastructure schemes. 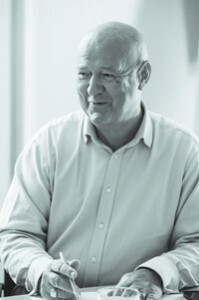 As a Chartered Surveyor by profession, with over 45 years of experience in the planning and development sector, it was during the period where I worked on the privatisation and modernisation of Bristol Port in 1991, that I first gained experience of infrastructure development. There was a lack of development companies that specialised in developing infrastructure projects then for clients or end users, particularly in the rail sector. As it didn't fall into the normal investment asset classes of Offices, Retail or Industrial premises, it wasn’t seen as an interesting area of speciality. The result was a gap in the market as major manufacturers and corporations were forced into looking at infrastructure through their own organisations which was non core and distracting for management. 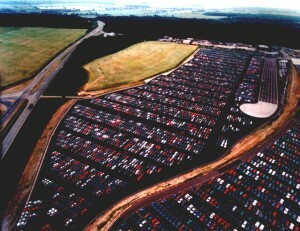 A number of the automotive customers at the Port were very keen to set up reciprocal facilities and this was the starting point of the business model. We were given our first commission by a major customer of the Port to procure or enable a Regional Distribution Centre on a rail connected site in the Midlands to include a property search, design, consenting and construction package on a fully funded basis. 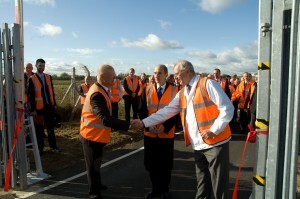 The project was located at Corby in Northamptonshire, with the land being acquired by the two principals and the completed project rentalised on an open book basis. On many of our projects we still operate the business on the same basis today, which is very much client or customer focussed on meeting their requirements for infrastructure, without all the burden of creating internal project terms and “reinventing the wheel”and creating structures of procurement that suit their particular needs. This covers in particular the Logistics and Renewable Energy procurement industries. At the Cracknore and Kilbride companies we have the skill set, experience and track record to acquire and develop land for infrastructure purposes to service our clients or an industry need, from consultancy advice to fully funded and turnkey projects. Our clients are frequently not interested in land ownership and are keen to translate transactions into commercial agreements at a rate per tonne with a minimum throughput, which again Cracknore and Kilbride can usually accommodate. As most of our clients are mainstream manufacturers, councils or logistics providers, we aim to provide long-term investments from strong covenants. We rarely will go into speculative projects of any kind. This strategic project was procured for a joint venture between STVA, the Automotive Freight arm of the French National Railway (SNCF) and a major UK based Automotive Logistics company called Walon. Following the opening of the Channel Tunnel they could see their clients' need for opening up a rail route from the centre of the UK to the European rail routes. On completion it was FIAT who were the first to unload a shipment from their plant in Italy. 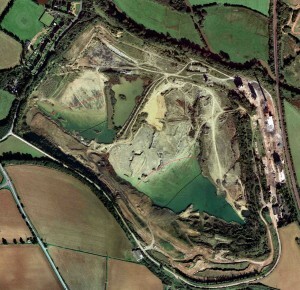 This 270 acre former limestone quarry was acquired to service the requirements of another major car manufacturer and consent was granted for a 90 acre car storage area, rail connected on the site from the old cement works. Following a sale of the car manufacturer and a change in logistics patterns the site did not proceed to construction phase albeit that compensation was paid. The rail terminal at Swindon was part of a substantial logistics development carried out by Legal & General and comprising 4 large sites for major warehouse buildings. The planning consent included a requirement to construct a freight rail terminal on the site to service this new logistics development. Few of the tenants had a rail requirement at that stage and a bond had been lodged to secure its future use.